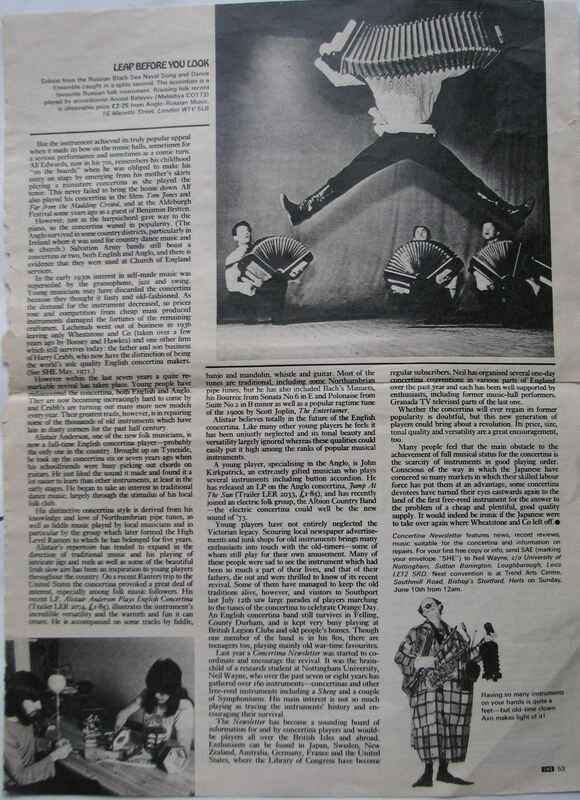 Full Description: A cutting from She Magazine, Vol 32, Number 6, dated April 1973. 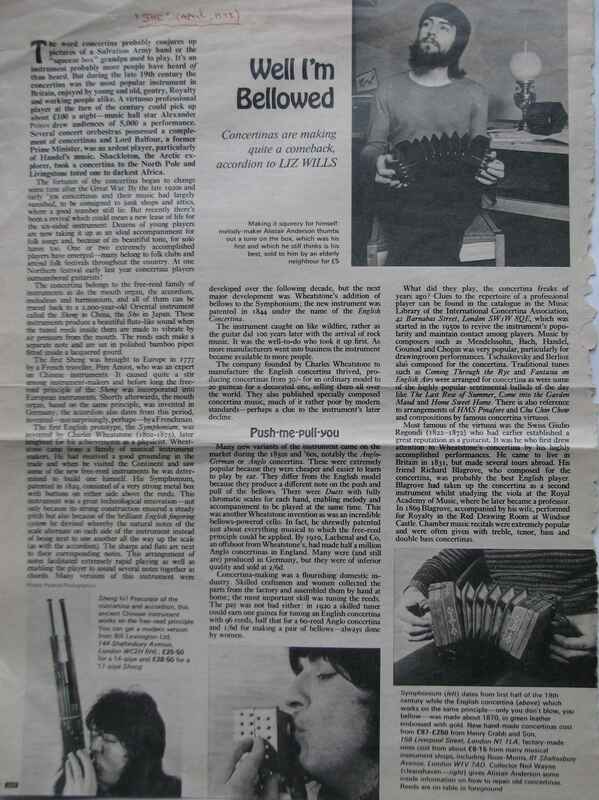 It is a double-page illustrated article headed "Well I'm Bellowed - Concertinas are making a comeback accordion to Liz Wills" featuring Neil Wayne and Alistair Anderson. The article followed the history of the concertina, Wayne's plans for a Museum, and details his creation of the Concertina Newsletter, Wheatstone's history, the rising careers of Alistair and of John Kirkpatrick, and the reasons behind the concertina revival.